Condo, 4 Bedrooms + Loft Bedroom/4 Baths, 25' ceiling. Mile-wide ski area views. 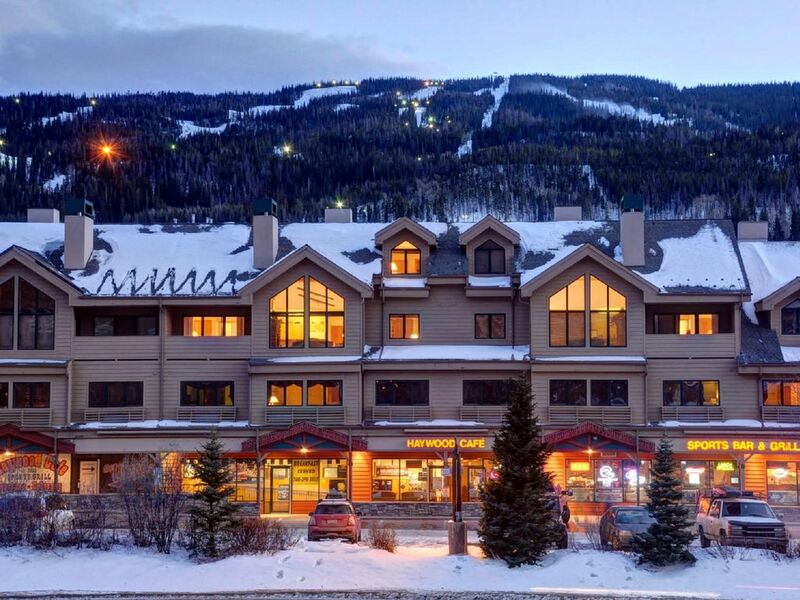 New 4BR + Loft BR/4 Bath top floor condo in the Keystone Ski Area. Vaulted ceiling 2.5 stories high in the living room. Best view in the resort from the penthouse level (watch the skiers day & night). One of the largest (2279 sq. ft.) and most versatile properties in the ski area. Located at the entrance to the new River Run Village shops & restaurants. Clubhouse in building with heated indoor pool, large hot tub, and exercise room. Internet/sports cafe (12 HDTV's + extra laptops), full service day spa, and convenience store on site. Heated indoor pool and hot tub on 1st floor; BBQ area on patio outside.